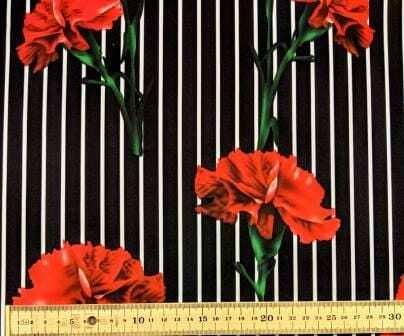 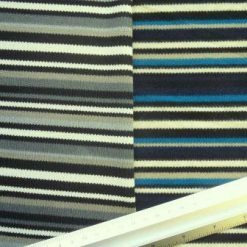 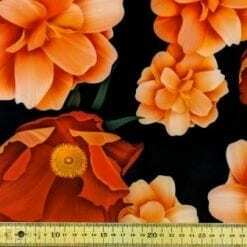 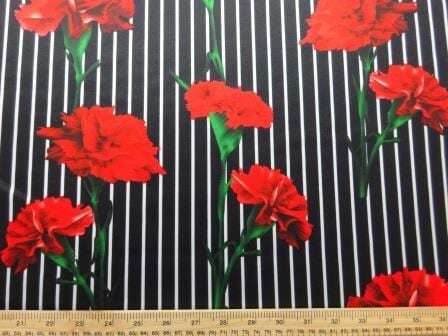 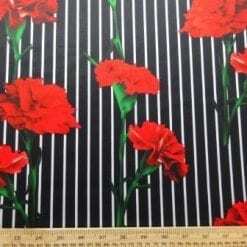 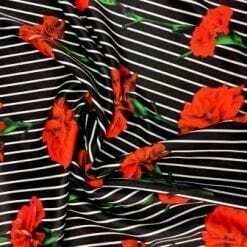 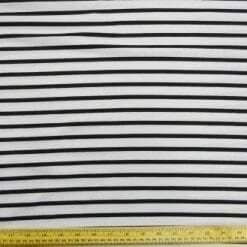 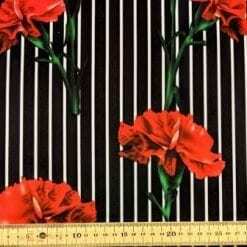 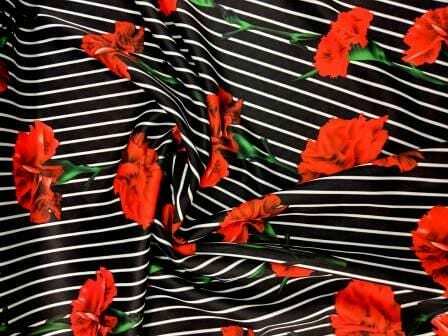 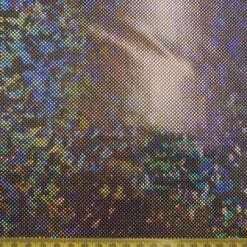 Scuba Jersey Fabric Stripe Carnation is great for structured dresses and skirts. 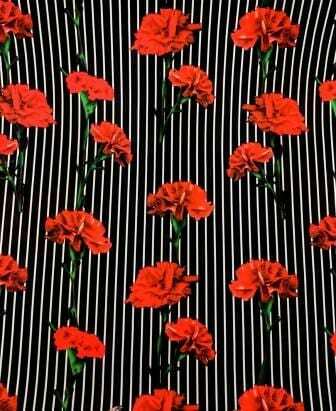 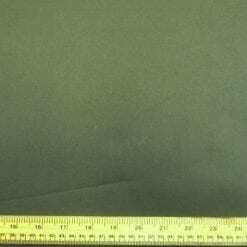 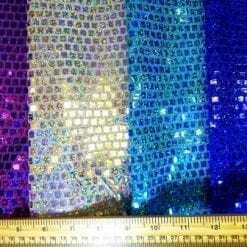 The Scuba Jersey Fabric is the perfect material to create skater dresses and pencil skirts. 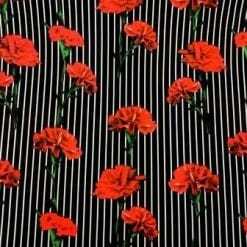 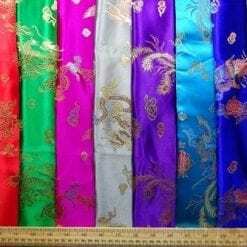 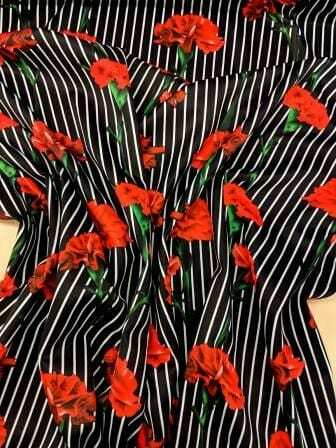 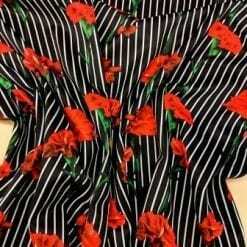 The floral pattern with stripes is the perfect pattern for making professional outfits.